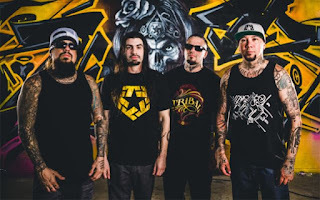 MetalRockNews: Korn's Fieldy about new Stillwell album: "It's a blend of everything, a hybrid." Korn's Fieldy about new Stillwell album: "It's a blend of everything, a hybrid." 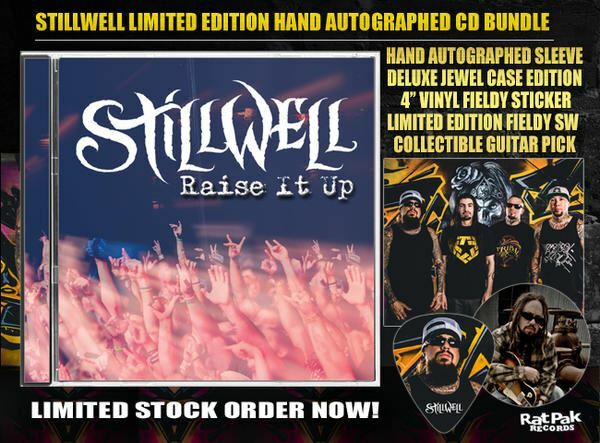 Korn bassist Reginald "Fieldy" Arvizu's new band "Stillwell" will release its second album, "Raise It Up", on November 13 via Rat Pak Records. Filedy said: "I tell people that, and they still don't get it: 'I'm the guitar player, not the bass player.' I'll say it and still they're, like… I don't know… I never thought it would be so hard to explain to people that I'm playing guitar." "Stillwell's musical direction can best be described as street rock and roll, like rock, but a little bit heavier, 'cause we have that street vibe to it. That's basically what it is. And Q is a rapper too, so there's some rap-rock-type stuff in there too, so it's kind of both. It's a blend of everything, a hybrid."